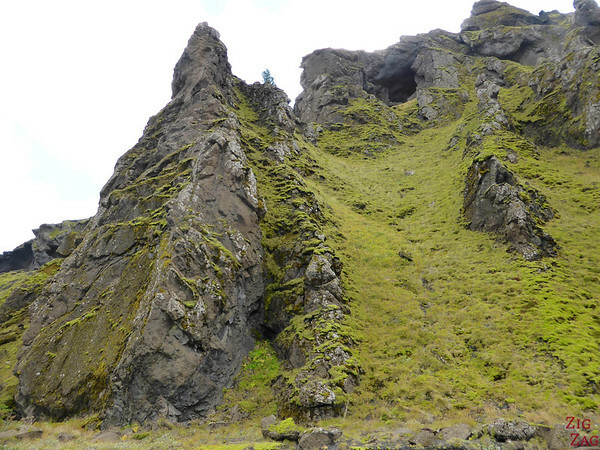 The Thorsmork Nature Reserve is a top Icelandic destination for both locals and visitors in love with nature and hiking. It is a remote valley with mountain ridge, glaciers and glacial rivers. If you want to hike I recommend it, however if you are short on time I would not call it a must stop. 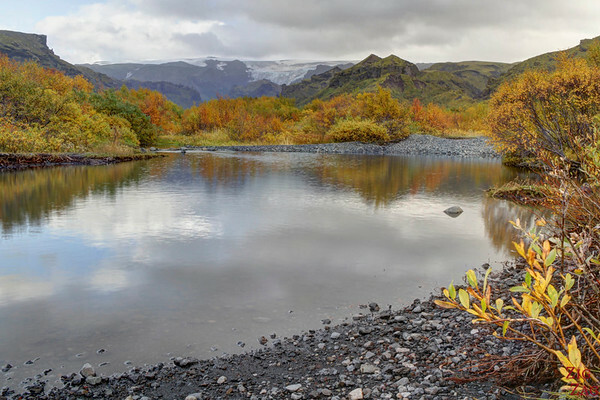 Thórsmörk is a Natural Reserve in South Iceland popular among locals and visitors for all the hiking possibilities. 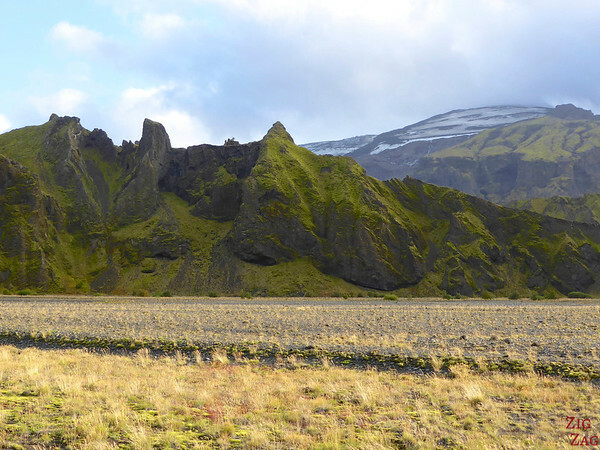 It is a valley surrounded by rugged mountains, closed by the glaciers of Tindfjallajökull and Eyjafjallajökull and crossed by impressive glacial rivers. 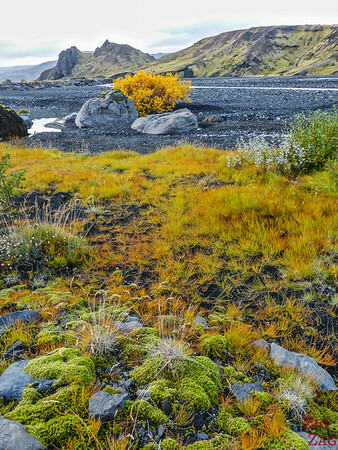 Its situation gives it a warmer climate and protection, therefore the landscape is greener than in the rest of Iceland. 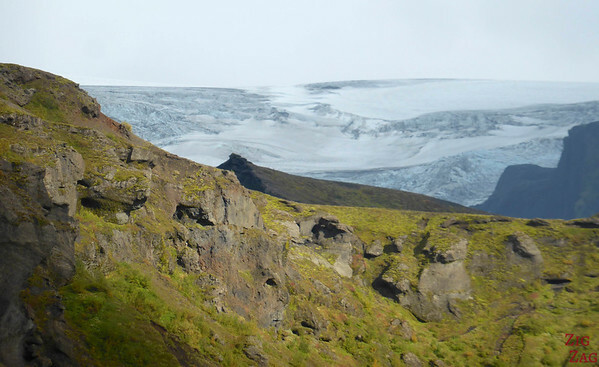 Short and long hiking trail gives you beautiful views of the glaciers, volcanic landscape, sharp rocks and caves. Its name means the Forest of Thor, the famous Norse god associated with thunder, strength and protection of mankind. The region is not easy to access but well deserve the effort and adventure that comes from getting there. Attention!!! Getting there implies crossing several glacier river which are sometimes raging and always unpredictable. You need to be very experience at 4WD through river to get there. 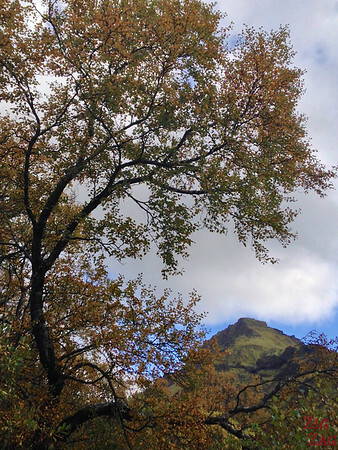 Once you reach the valley, the central point is the Volcano Huts. It is an accommodation/Restaurant/Information desk. Thorsmork is included in the Travel guide Experience Iceland that I wrote to help you plan your road trip around Iceland and make the most of your time. 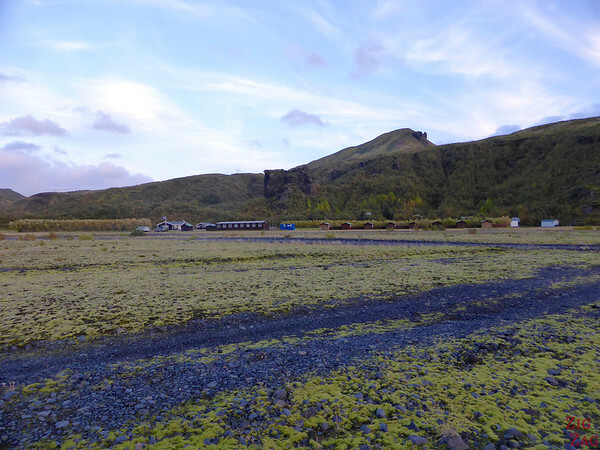 On the way to the Thorsmork valley, you drive by a bare landscape with a tongue of glacier and a huge fissure. 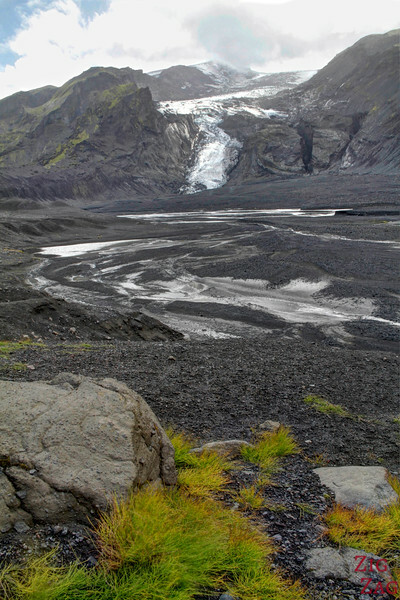 This is the evidence of the 2010 Eyjafjallajökull eruption. This is a very impressive place and I discovered it without anyone around. As you can see in the picture below the area is now black and bare. Before the glacier was flowing down into a lagoon. Be careful where you drive, my driver explained me that the flooded area has some quick sand and a car has actually disappeared thankfully without its occupant. 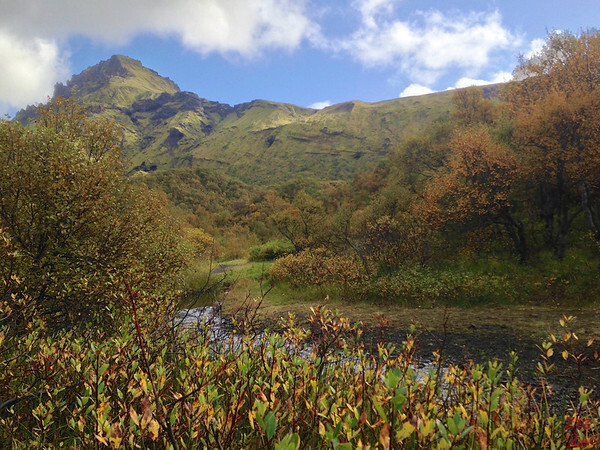 As I said there are several glacial rivers to cross to get to the Thorsmork valley. The photo below is an example of a small one. You can have a look at my video on the Icelandic Road Trip Post. However I must admit that during the big and dangerous one at the end, I did not photograph or film, I just hold on to the car and stopped breathing. 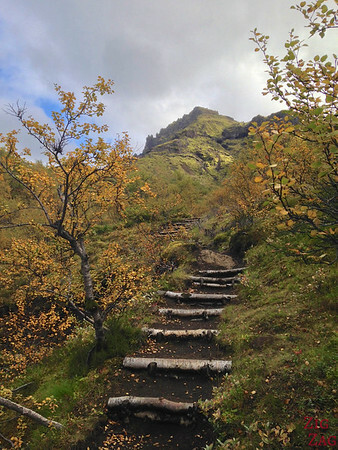 There are many long and short hiking trails leaving from the Volcano Huts. My guide recommended the short hike of Basahringur that I completed in an hour. This was an easy walk although good footwear is needed and there is bit to climb. At the end I had many steps to walk down and those with knee injuries might have some difficulties. 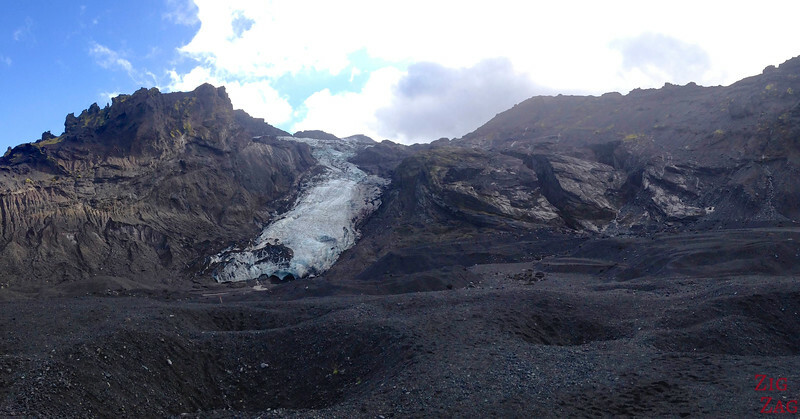 Below are the photos of the surrounding landscape including a view of one of the glacier from the top. I stayed the night at the Volcano Huts. 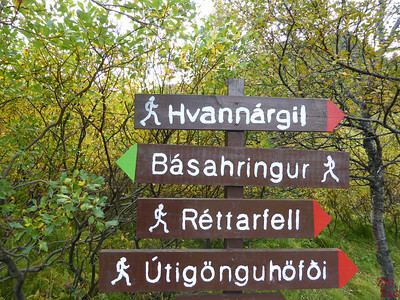 Discover Iceland has booked a cabin for me. I enjoyed diner in the common area with soup and a choice of fish or meat. 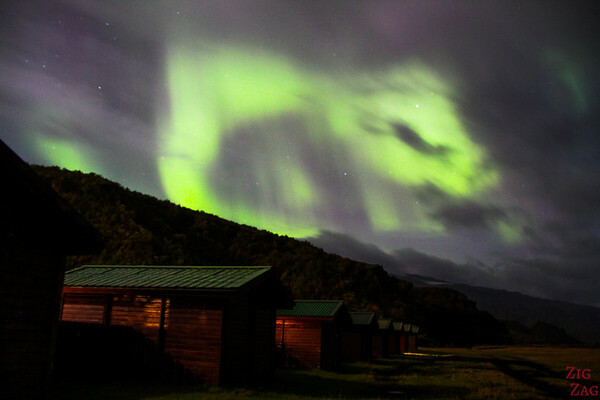 During the night I was lucky to experience the northern lights! 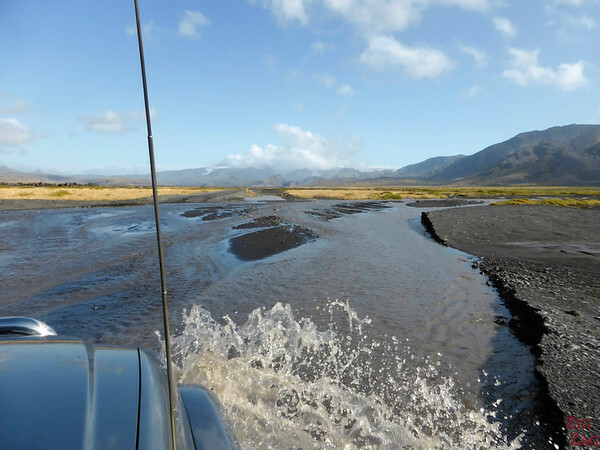 Have you ever crossed crazy rivers in a 4WD?